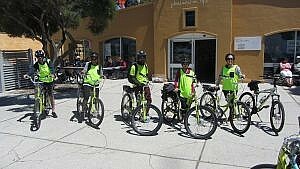 Pedal with ease as you explore the sights of Rottnest Island by electric bike! Follow your guide as you learn the history of Rottnest Island, while taking in the beautiful scenery along the way. The tour will break for lunch at the West End, and end at the Basin for a swim in the crystal clear waters! Call us on 08 9246 1039 to book! 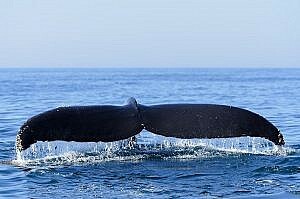 Explore Rottnest Island’s beautiful marine life with snorkel and flipper hire. 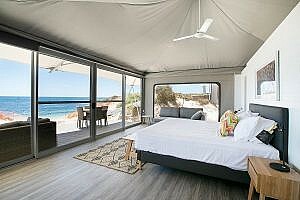 Boasting 63 beaches and 20 bays, Rottnest Island is home to stunning coral reef and tropical fish. Sheltered swimming areas and underwater snorkelling trails make the island a popular snorkelling location year-round. Please Note: snorkelling equipment is collected from Hillarys Boat Harbour prior to departure. 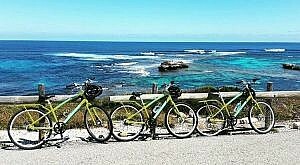 Rottnest Fast Ferries has a fleet of 7-speed custom built hire bikes, designed for cycling at Rottnest Island. Save yourself time on the island and hire your bike with your ferry ticket before you depart; our crew load the bikes on and off the vessel for you, so once you arrive at Rottnest Island you can set off with the wind in your hair to explore! Please Note: Hire bikes are collected from Hillarys Boat Harbour prior to departure. All hire bikes come with helmet and lock.